Property 4: Great Catch! Don't Miss Out! Property 10: Beautiful apartment available just like home . Also we accept foreign students . Property 26: Straight To Manhattan! Property 27: Chez Isabelle:the place to stay! Property 31: DESIGN + KITCHEN+COLOR+MODERN+LIGHT ... CREATE HERE !! Property 32: 15 min to Manhattan. Brooklyn Luxury Modern Elegant apartment. Private patio. 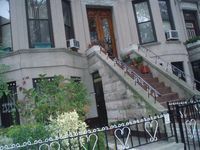 Property 37: Historic Brooklyn Apartment w/Stunning City Views! Property 38: NEW - 2 BR's - 10 min. to Manhattan! 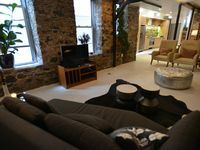 Property 44: Individually styled apartment 45 minutes to Manhattan. Corp/Long-term welcome! Property 48: Well designed apartment with yard! Property 49: Exceptional Comfort and Location!